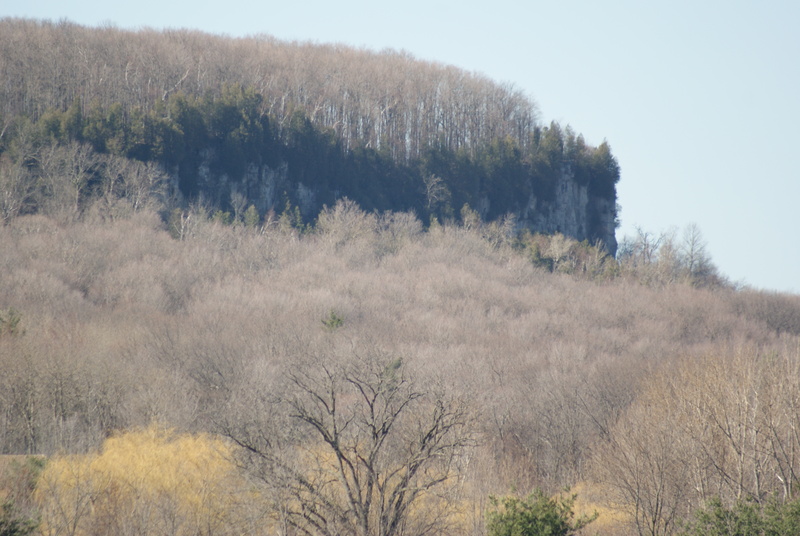 Rattlesnake Point, part of the Niagara Escarpment, near Milton, Ontario. Ellipses points indicate an unstated continuation of a thought or the omission of something from a quotation. She did not want to be seen or heard . . .
— William Shakespeare, as read to schoolgirls in 1936. Emphasis in written text is indicated by changing the type with, for example, capital letters or italics. OK, so it was a Big Deal. Why don’t you pay now, rather than later? Using all upper case letters in an e-mail or other messaging system indicates shouting and is considered rude. WHY DON’T YOU PAY NOW? An exclamation point ( ! ) is also used for emphasis, and especially to get someone’s attention. Why don’t you see ellipses in newspapers? Write out the sentence, “Look ahead in the road.” using different methods of emphasis. Where would you use an exclamation point? An escarpment is a long cliff created by erosion or by a fault in the rocks. The Niagara Escarpment runs from Watertown, New York, through Niagara Falls, to Georgian Bay and the Bruce Peninsula in Ontario. From there it runs into Wisconsin. It was once the shore of an inland sea.